KISS FM (Sri Lanka) is the sound of your future. Now you can listen live and engage with the world famous Kiss FM (Sri Lanka) station right through your mobile whenever you want no matter where in the world you may be! 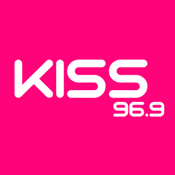 *Listen to the Kiss FM radio stream live while you’re on the move in high quality! *Share content and engage with the KISS FM Crew through Facebook & Twitter! *Stream high quality audio to your AirPlay enabled device!